With Eid just a few days away I knew I had to share a few recipes to serve as ideas or inspiration for the infamous Eid desserts. Before we get to the recipe of the oh-so-different Salted Caramel Chocolate Cake, I’d just like to take a moment to scream WOOP WOOOOP! It’s Sadie’s Bubble of Yum first birthday today! Yippidee doo daa! Can’t believe it’s been a year! My resolution for the next year is to post more frequently (I know I’ve been really bad…sorry!) hehehe Shukran and thank you to everyone who has read my posts, attempted the recipes, left a comment or simply gave me encouragement to keep blogging. High 5 to you! With that said, I think it’s quite fitting that I share this recipe. If you’re looking for something different, divine and damn delicious then I’d recommend the Salted Caramel Chocolate Cake. 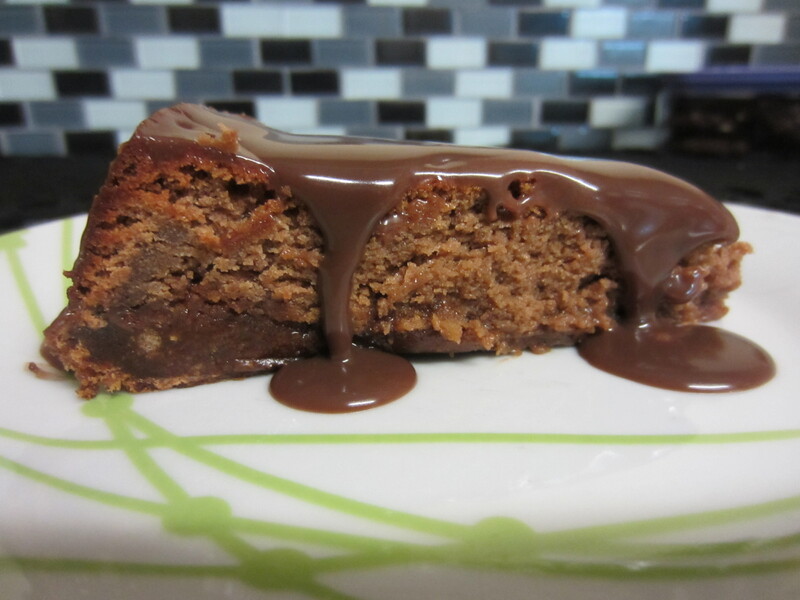 With the chocolatey moist texture of the cake and the surprise of the caramel and the second surprise hint of salty deliciousness, this is a sure winner! 1. Start with the caramel biscuit. Grease 2 x 22cm diameter cake tins and line the bases with baking paper. 2. Whizz the biscuits in a food processor until fine crumbs. Put the sugar and water into a heavy-based saucepan and dissolve over a low heat. 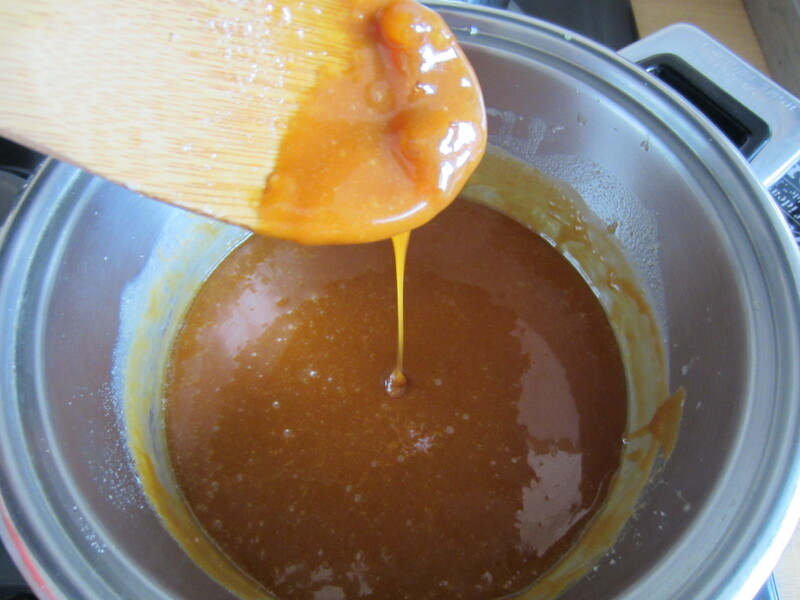 Increase the heat and cook until it forms a caramel. 3. Remove from the heat and carefully stir in the cream, followed by the butter and salt. 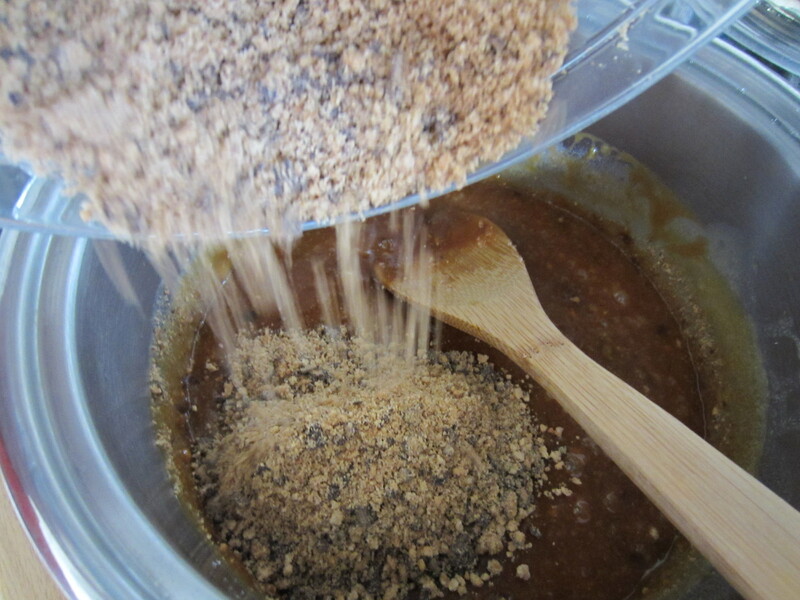 Stir the biscuit crumbs into the caramel. 4. Divide equally between the tins and press down with the back of a spoon. Place in the freezer to set. 4. To make the chocolate cake, preheat the oven to 180°C. 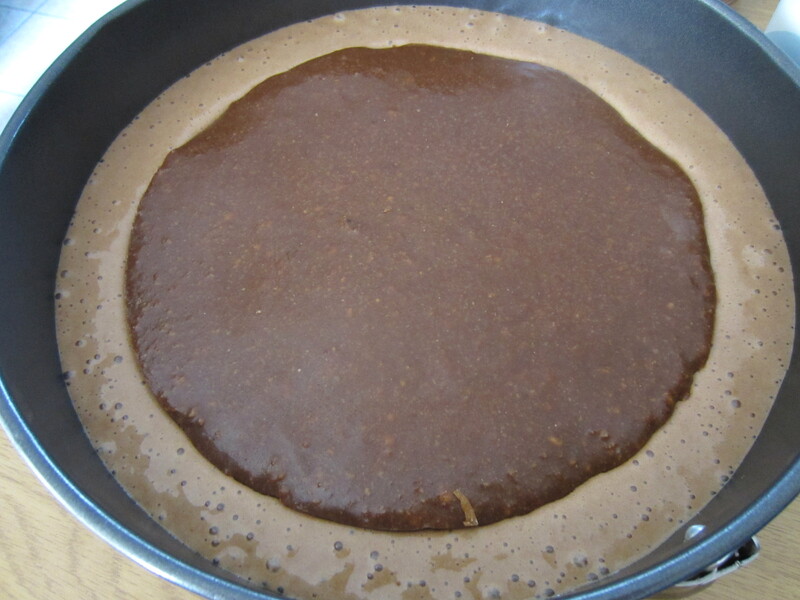 Grease a deep 22cm diameter loose-bottomed cake tin and line with baking paper.Melt the chocolate, butter and milk together in a heatproof bowl set over a saucepan of barely simmering water, making sure the surface of the water does not touch the bowl. 5. In a large bowl, whisk the egg yolks and sugar together using an electric hand whisk until pale and fluffy. Stir in the chocolate mixture, then fold in the flour. In a clean, dry bowl, whisk the egg whites to soft peaks, then gently fold into the chocolate mixture. 6. Remove the caramel biscuit discs from the freezer and remove them from the tins, discarding the lining paper. 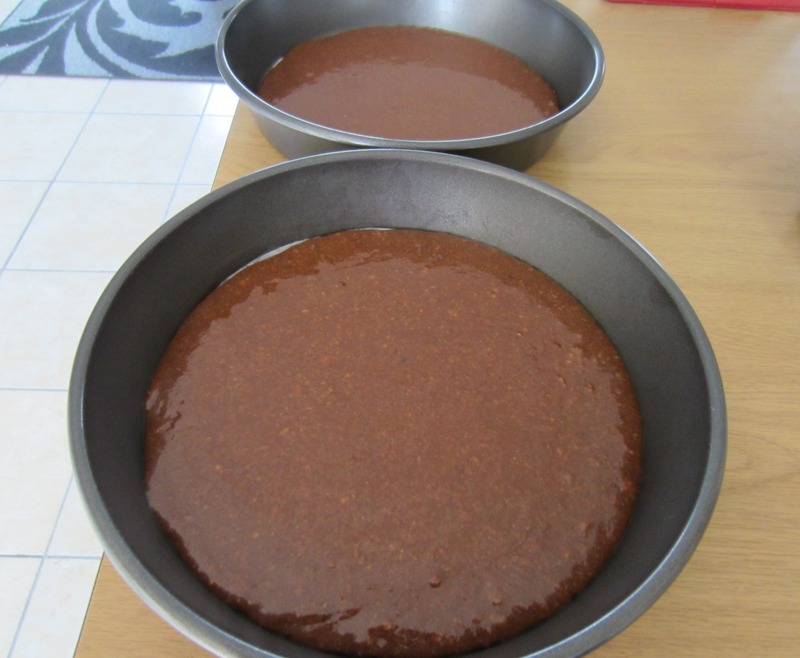 Place one of the discs on the bottom of the prepared loose-bottomed cake tin and spread with half of the cake mixture. helloooo chocolate and caramel goodness! 7. Lay the other biscuit disc on top and cover with the remaining cake mixture. Bake in the oven for 25–30 minutes until the cake is just cooked – it should be almost undercooked for extra gooeyness. Leave to cool in the tin for 10 minutes, then turn out on to a cooling rack to cool completely. 8. To make the glaze, put the chocolate into a heatproof bowl. 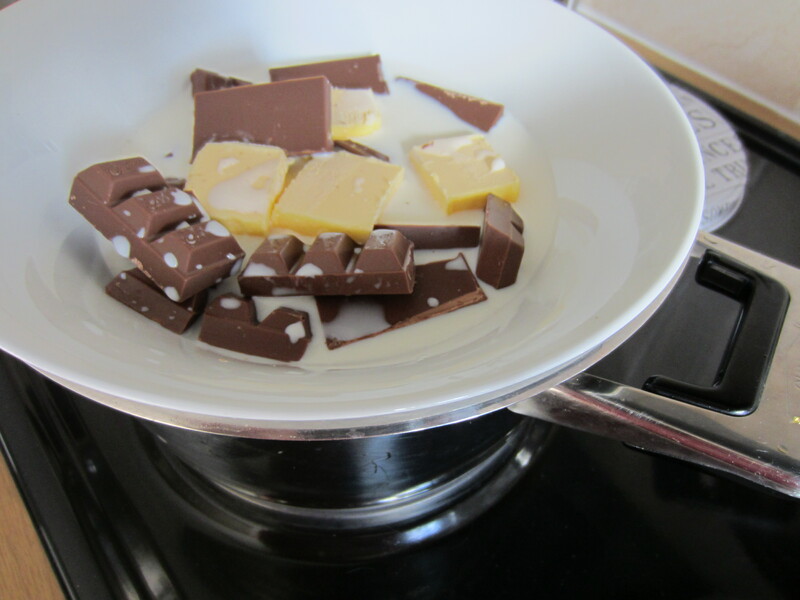 Put the cream into a saucepan and heat to simmering point, then pour one-quarter over the chocolate. Leave for 1 minute until the chocolate starts to melt, then gently stir in the rest of the cream until smooth and glossy. 9. 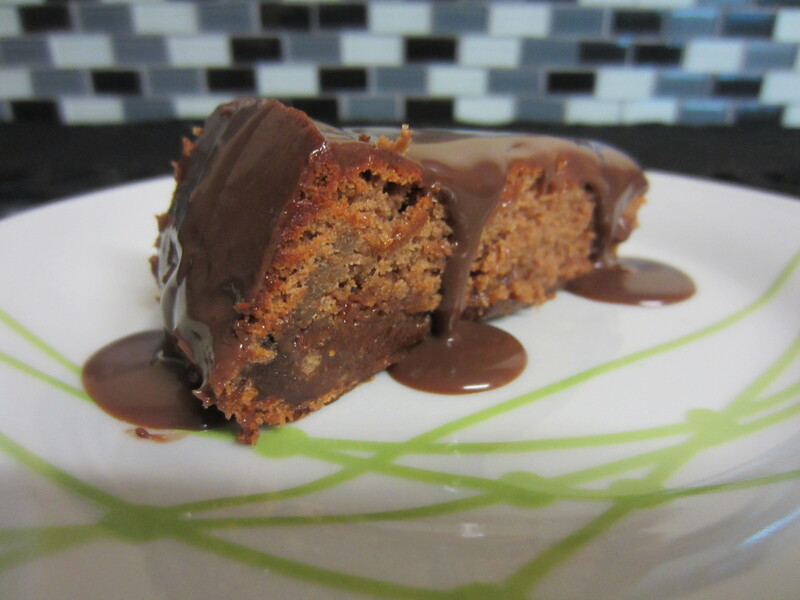 Cover the cooled cake with the chocolate glaze and chill it in the refrigerator until set before serving.